So I really love where I live (but I bet you knew that already). But for me, it just keeps getting better. On the heels of the announcement from St. Margaret’s about the proposal to convert the former elementary school into high end apartments, I had the opportunity to step inside the corner building across the street to learn of its future as well. 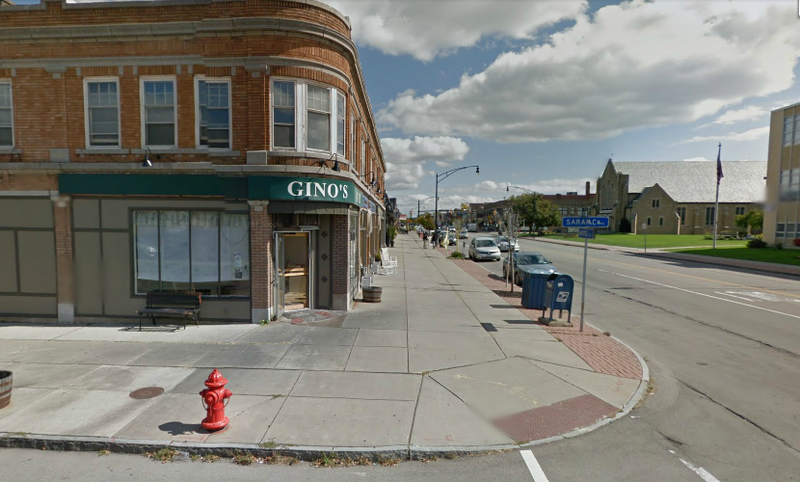 Right now it’s just a clean, empty space, but come October the once home to Gino’s Bakery at Hertel and Saranac will become Salumeria Belsito, an Italian eatery and bar. I’m sorry, did someone say capicola? On the corner of my street? That’s a match made in Italian meat heaven if I do say so myself. A gentleman by the name of Michael Petrillo is joining the movement taking place in Buffalo. Enamored by Buffalo’s latest unique restaurant gems such as Mes Que and Butterwoods in the Hotel Lafayette, and driven by a lifelong desire to be a positive part of the Buffalo community, Michael is setting out to provide as-fresh-as-it-gets Italian food in an atmosphere that’s authentic and approachable. The idea for this salumeria came from a restaurant in Baltimore that Michael visited during his time living there. Similarly, Michael’s restaurant will feature a precision hand-crank slicer, but will also boast an old school deli case, a fine cappuccino maker and very traditional décor (sorry, there won’t be any pictures of Tony Soprano or John Gotti on the walls). At its base, the menu will offer an impressive selection of Italian charcuterie, fresh bread, cheeses, paninis, Italian wine and Buffalo beer – and it will continually evolve to cater to its patrons. But most importantly, Michael hopes to deliver an experience, not just of eating and drinking, but tasting, learning, talking and enjoying. He anticipates the restaurant being referred to simply as Belsito, named after the small town of Montemaggiore Belsito in Italy where his paternal grandmother’s family is from. He hopes it will bring some of the same charm as that small town as well. In talking with Michael, I get the sense that he wants nothing more than for the people of Buffalo to enjoy his restaurant, to share great times with each other, and to hopefully tell a few people to stop in as well. With this being at the corner of my street, he’s got one customer already. Stay tuned, more details and pictures coming soon.